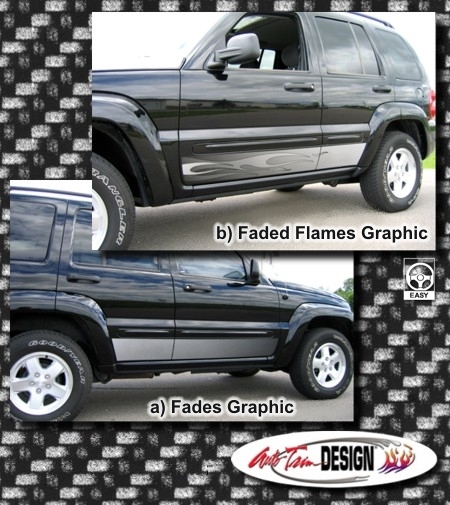 Dress up your '02-Current Jeep Liberty with these awesome looking body side graphics that are designed for the lower portion of the doors as shown. These graphics will give your vehicle a custom two-tone look. Uniquely designed with a gentle fade at the front to solid in the rear, these graphic sets are available as a "Fade Only" or with Hot looking "Faded Flames".